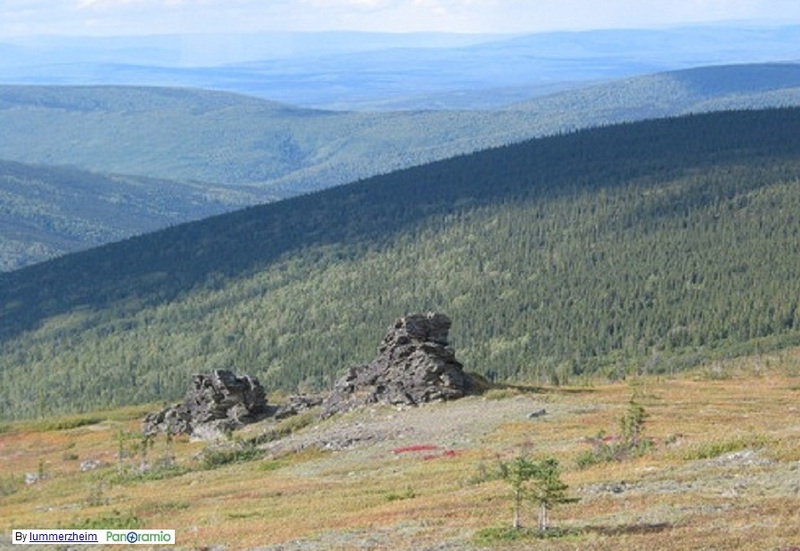 Power is supplied from Fairbanks. Maintenance is mostly done remotely. When necessary humans, are dispatched to do onsite repairs. From: Murphy Dome Pictures. 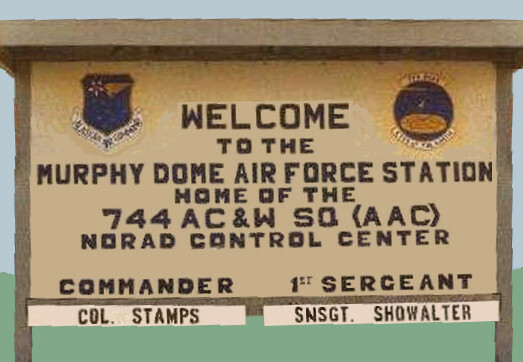 The 176th Air Control Squadron traces its lineage, honors and history to Murphy Dome Air Force Station (AFS), (originally situated in a mountainous region known as the Yukon-Tanana Upland, 20 miles northwest of Fairbanks, Alaska). 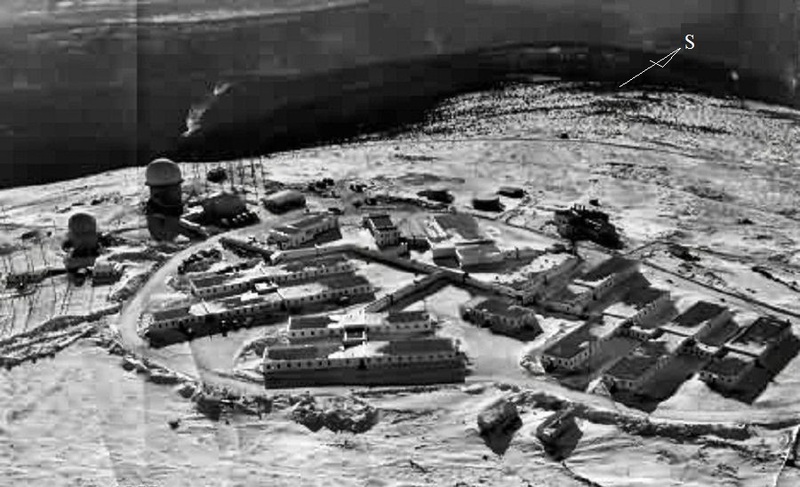 It was one of the ten original aircraft control and warning sites constructed during the early 1950s to establish a permanent air defense system in Alaska. 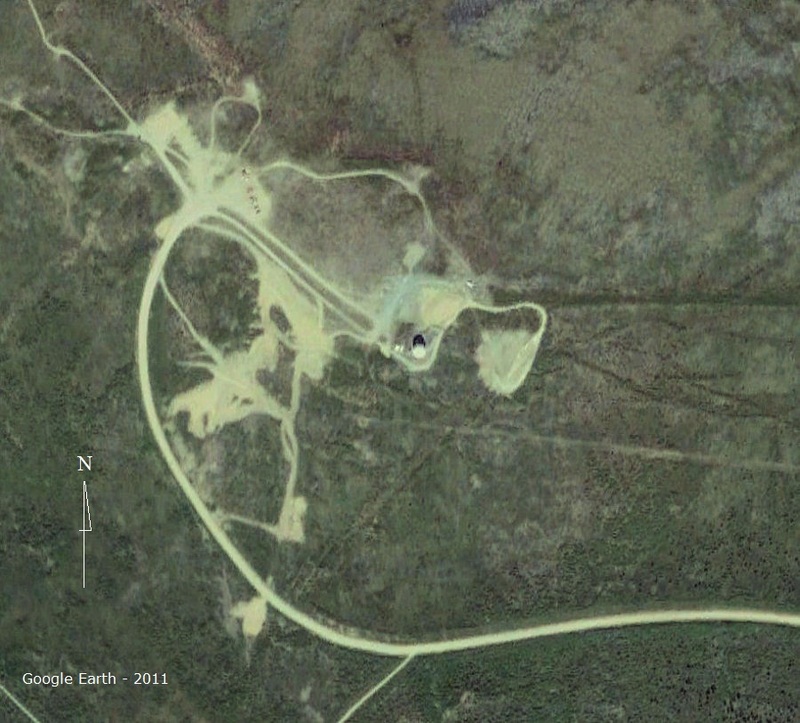 Fairbanks Defense Area: Sites were installed to replace Anti-Aircraft guns defending the Fairbanks area. 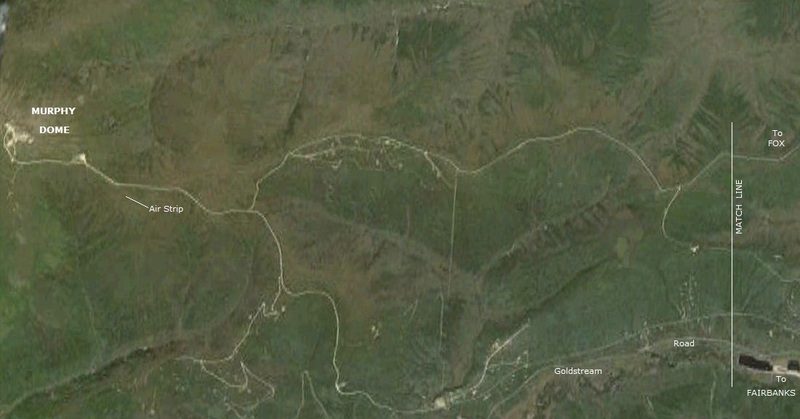 The site was built in 1951 and shared with the United States Army in order to supplement the Nike Missile system. At this point, it supported over 100 people. In 1975, the site was switched from military to civilian personnel. In 1984, the current radar was brought on line and the station was slimmed down in terms of personnel. 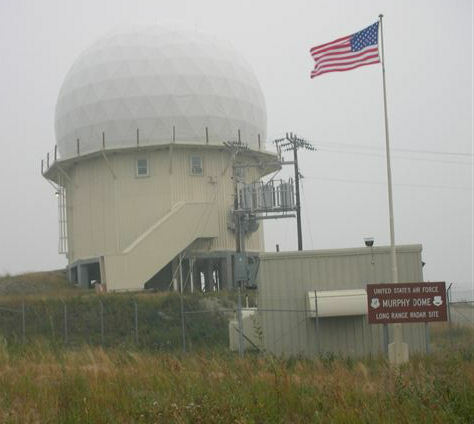 The USAF radar site at Murphy Dome AFS, AK (F-2) was shared with the Army for Nike missile-defense system. The CPS-6B radar was removed in July 1958, FPS-8 removed 4Q 1960 until the Nike sites were inactivated in 1971. Vern visited this site in 1984 and remembers shells of old buildings.